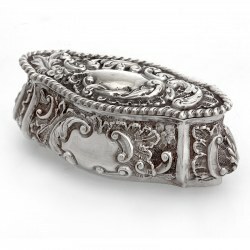 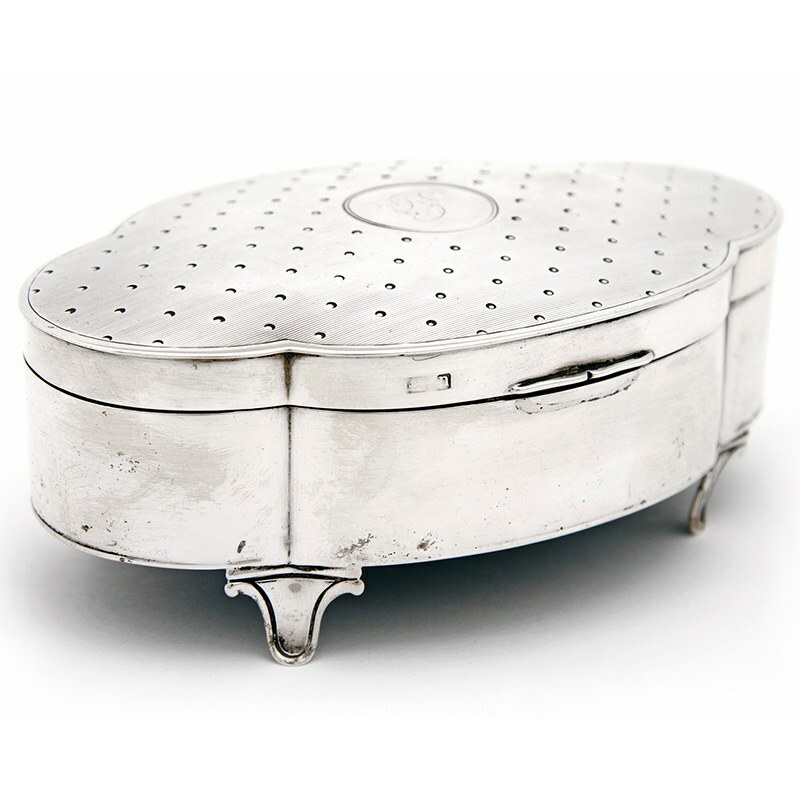 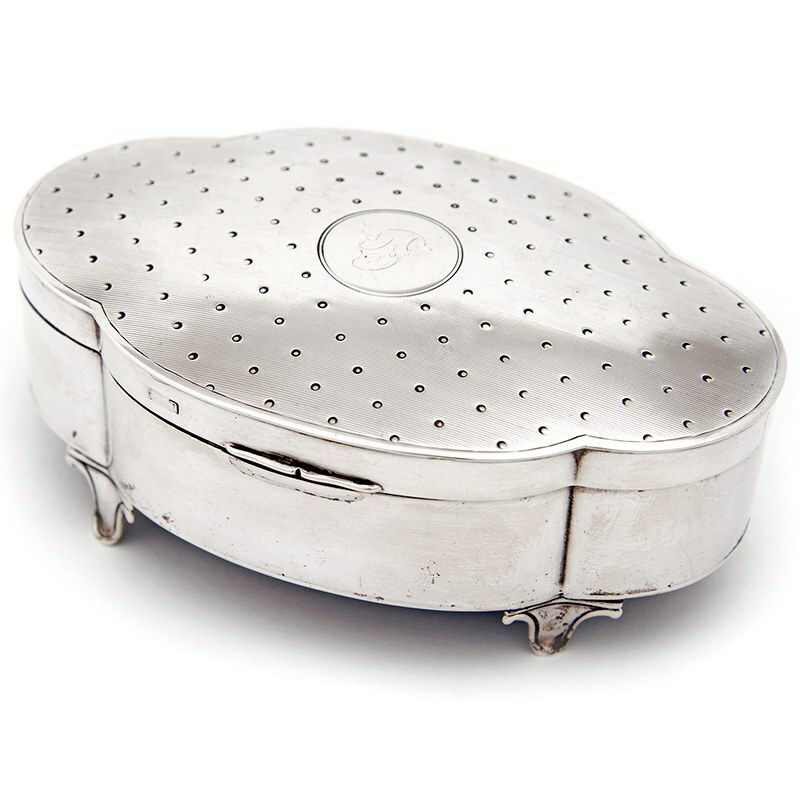 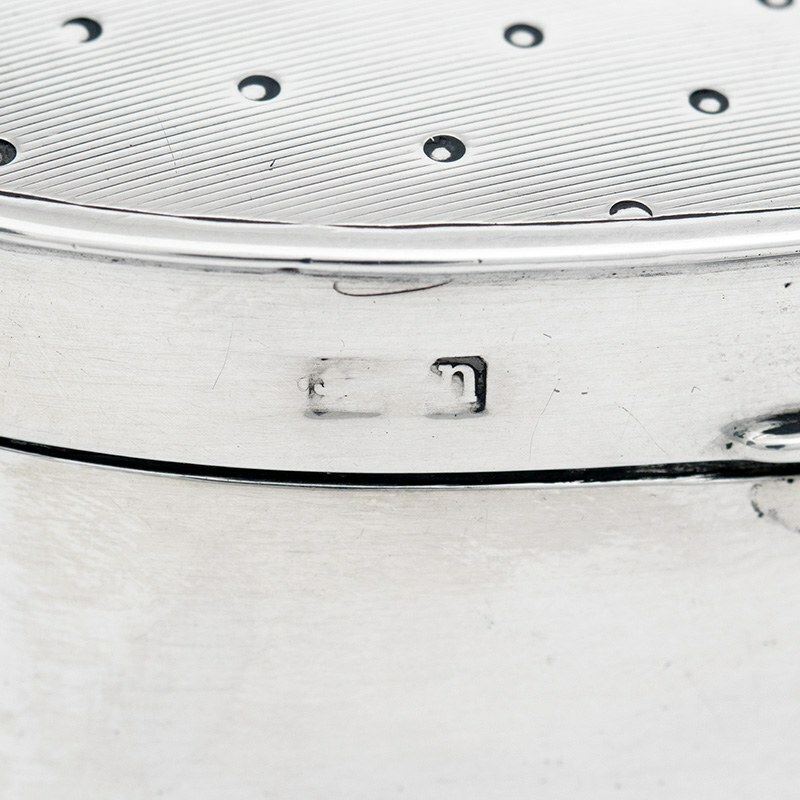 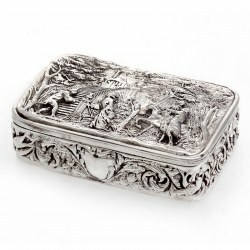 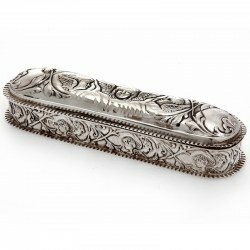 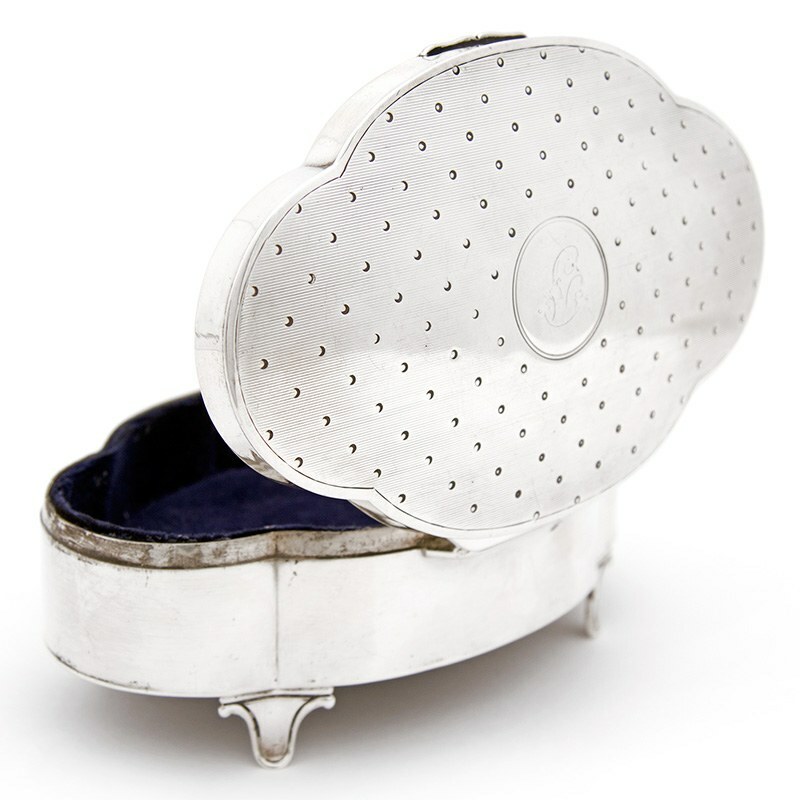 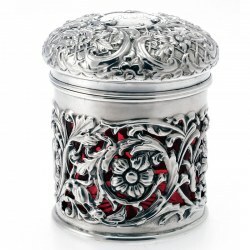 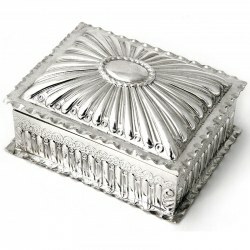 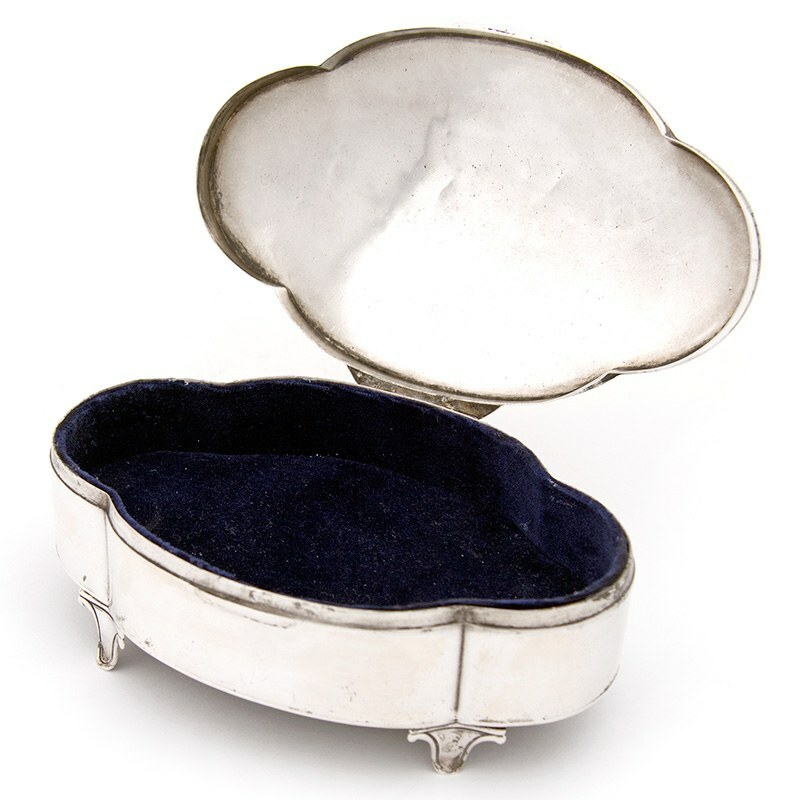 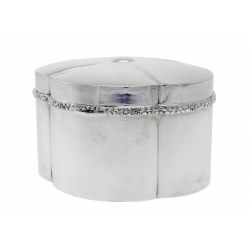 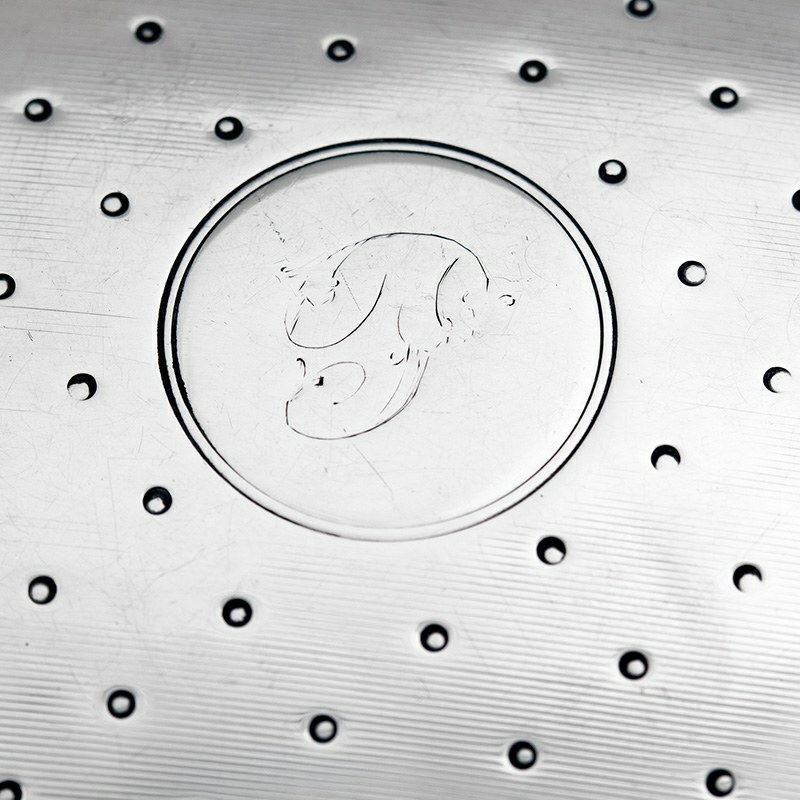 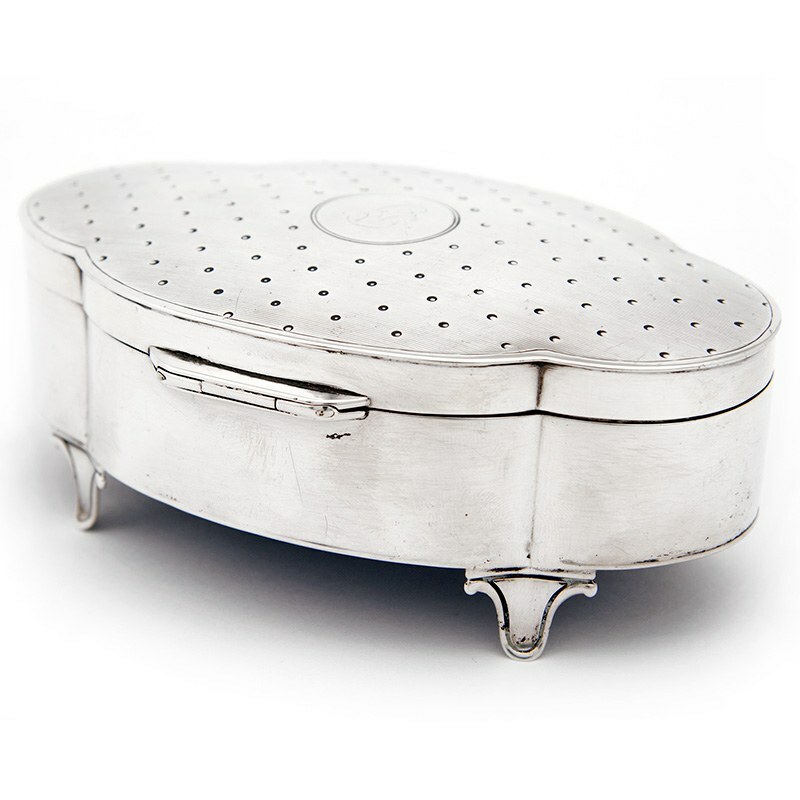 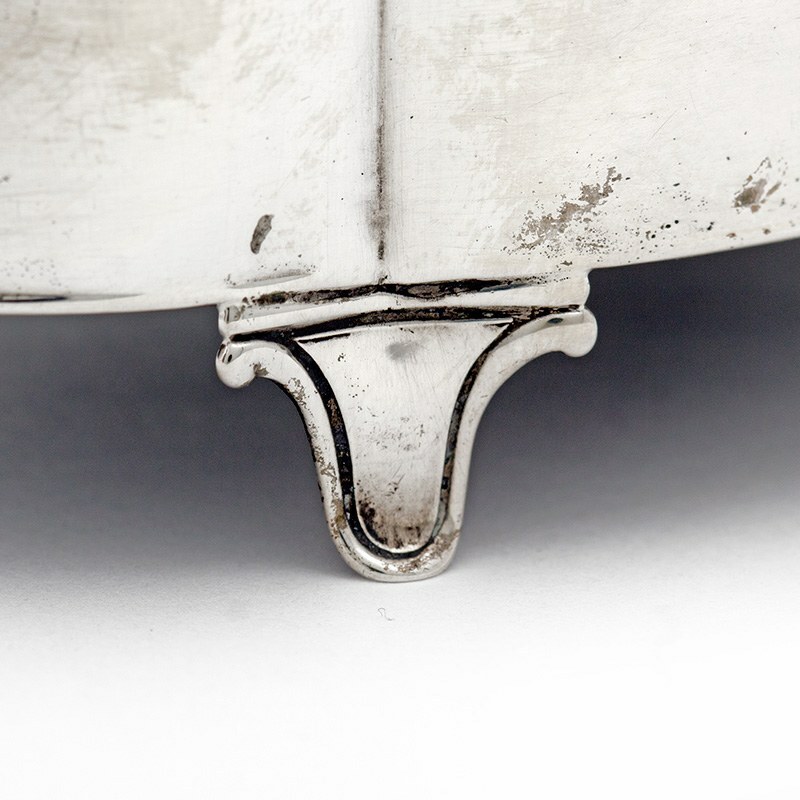 A charming good quality antique silver jewellery box in an oval shaped form. 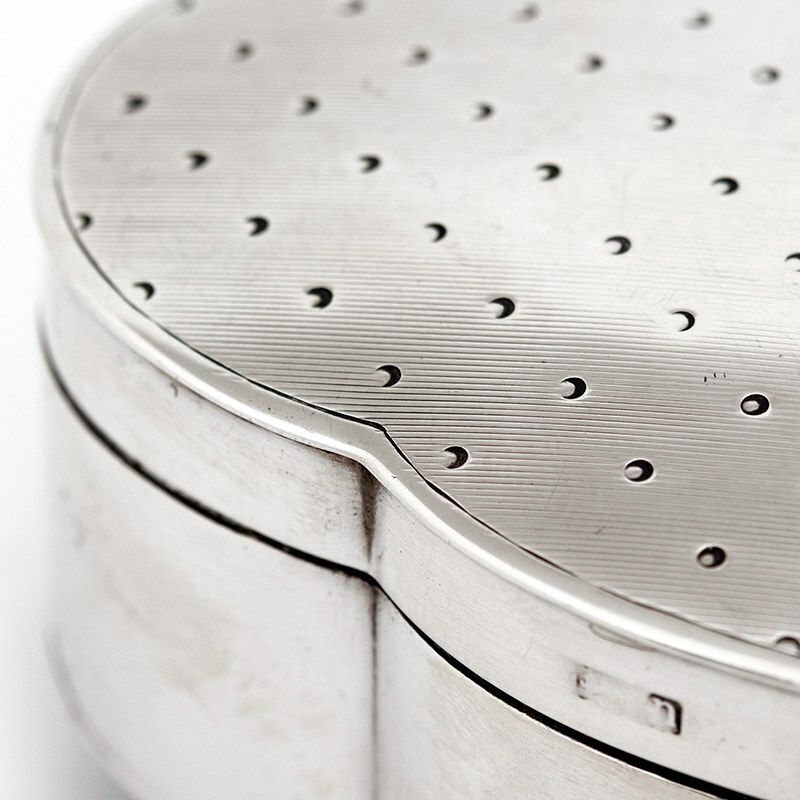 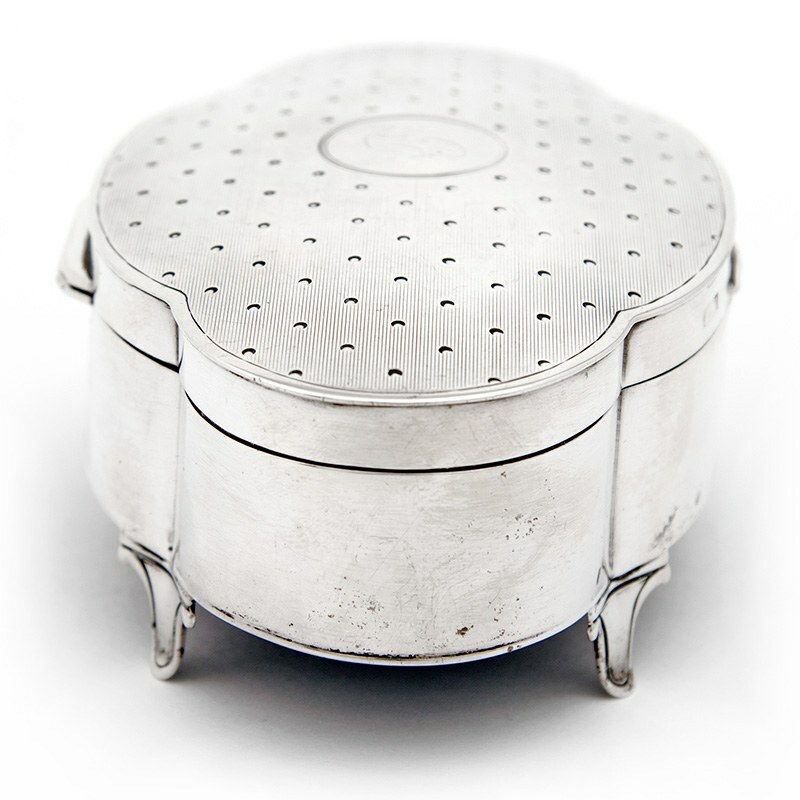 The hinged lid has an engine turned pattern and the circular cartouche has an engraved P. The interior is lined with blue velvet and the whole box stands on four looped reeded feet. In good original condition.